Musa Hilal of the Darfur Mahameed tribe. Formerly leader of the government supported Janjaweed militia. The current regime in Sudan under the National Congress Party (NCP) has managed to survive, in part, by manipulating ethnic and other interest groups to gain support. This remains an effective strategy for countering armed insurgency and the opposition in general. In pursuing this strategy, the regime has framed conflict in Sudan as being between “˜Arabs’ and “˜Africans’. In doing this it has managed to recruit and bring many Arab tribal leaders and adventurers to its side. Musa Hilal of the Mahameed is perhaps the most high profile of these individuals. 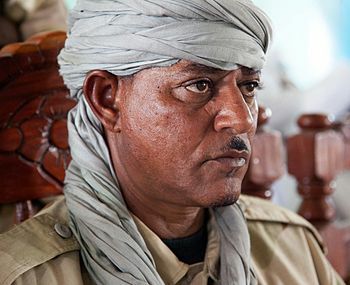 An infamous figure and leader of the government-backed Janjaweed militias – made famous by their role in the counter-insurgency against the rebels in Darfur – he retains the ambition to be a leader for all Arab tribes in Darfur. Similarly, Mohamed Hamdan (“Hametti”) from the Rizeigat tribe of East Darfur, has also ventured to recruit his own militia and has received the support of the regime in Khartoum. However, both have showed ambition go beyond the roles assigned to them by the government. Having acquired a major following and with it political standing, Khartoum has been left with no option but to provide them with greater rewards in the form of high political and military positions. Hilal is now a significant figure in both Darfuri and Sudanese national politics. He was transported to Khartoum for the inauguration of president Omar al-Bashir last month, reportedly in a plane with National Intelligences and Security Services (NISS) chief Mohamed Atta al-Moula. Hametti has become an indispensable military general for the Khartoum regime; commander of the Rapid Support Forces (RSF), which recently defeated the Darfuri Justice and Equality Movement (JEM) in South Darfur. This article will examine whether it is correct to assert that the two main powerbrokers in Darfur today are Musa Hilal and Hametti? If so, what does this tell us about the relationship between the Darfurian Arabs and the government, and with it the nature of military tribalism in Darfur? These questions were posed to me by Professor Alex de Waal, an old friend, whose expertise and concern for Sudan I value. Hilal and Hametti each have a slightly different status and inhabit different roles in the Darfuri military and political milieu.Hilal should be seen as an agent or middle man, rather than a powerbroker, while Hametti is a warlord incorporated into the state’s coercive machine. Bashir, at his inauguration, praised the RSF as an important operational arm of the National Intelligence and Security Service (NISS) which has now attained equal status with the Sudanese armed forces (SAF). Previously, Hilal – through his involvement in military operations as leader of the Janjaweed – had a role similar to the current one of Hametti. But over time, Hilal found his own place in the civil government apparatus, which paved the way for him to develop and evolve, eventually being transformed into a politician, walking the corridors of power. Hilal cleverly exploited his tribal base and leadership heritage to his advantage. A journalist, Shamail Alnur, who interviewed Hilal in 2015 (Arabic), described how although he grew up in a rough dessert his appearance is now akin to that of a film star. Alnur described the scene at her arrival as being both moving and hair-raising; there were many land cruisers with fully armed fighters, surrounded by decorated horses waiting to receive the chief. Hametti largely lacks these advantages, himself hailing from a family of average status in the large and well-established Rizeigat tribe, which has a long history of its own traditional leaders drawn from the Madibo house. He still has a role to play, but only as far as the regime in Khartoum wants him to do so. Hilal’s own power is derived from his leadership position both among his tribe – the Mahameed – and latterly within government. This was especially so during the period when he was leader of the Janjaweed; and later when he became an advisor to president Bashir. 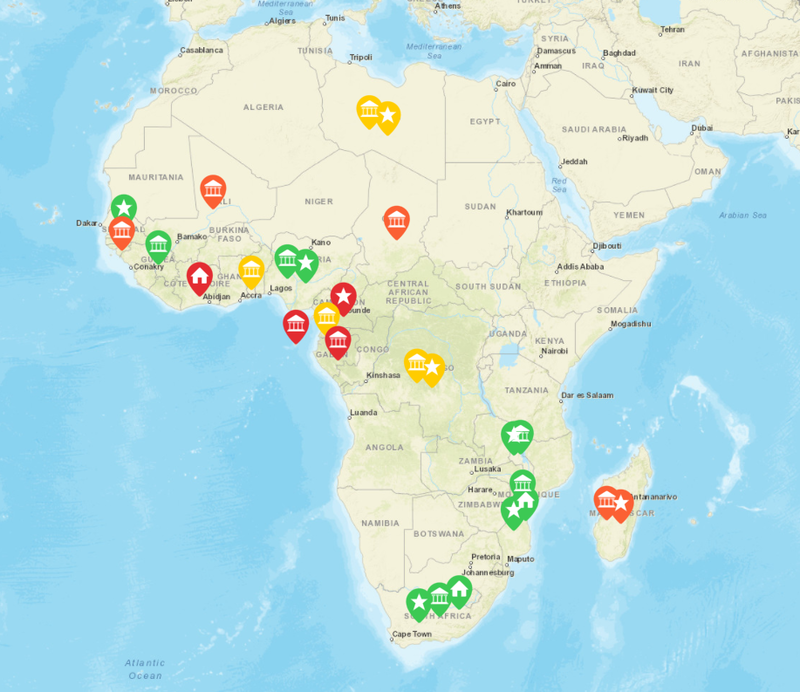 Hilal is also connected by marriage to President Idriss Deby of Chad, a powerful regional power-broker, who became his son in law after marrying Hilal’s daughter. Despite his obvious advantages, Hilal has little influence over the rest of the Rizeigat tribe in Darfur, or other Arab tribes in the region. This is because of the Mahameed’s geographical location in Northern Darfur and as a result of being camel herders; they rarely come into contact with the rest of the Rizeigat and other Arab tribes who are cattle herders. This is evident in the recent bloody war between the Rizeigat and the Maaliya, fought mainly by the youth of the two parties to the conflict. The youth of the two tribes see no state or other external power that can restrain or direct them in their pursuit of their own narrow interests. Rizeigat and Maaliya fighters even managed to bring the elites on the two sides to support their cause, thus showing how limited the government’s power and influence has become. Nonetheless, supported by the government, Hilal can still be part of the solution to conflict in Darfur. One way he could play a role stems from the existing gap in leadership due to the collapse of Native Administration, which has received successive fatal blows since the Nimeiri regime. The potential role of Hilal is demonstrated through the memorandum of understanding (MOU) signed between his recently formed party the Sudanese Awakening Revolutionary Council (SARC) and the SPLM-N on 24 February 2015. In making this move he showed his capacity to act independently from government. The extent of his disagreement with the government was also shown through threats to boycott the recent elections. As the SARC moves into the national political arena it will have access not only to its own Mahameed tribal base but also that of other Arab tribes. Large numbers of people from these Arab tribes migrated as IDPs to Sudan’s urban centers, including Khartoum, due to the wars and instability in the region. These groups see themselves as marginalized minorities residing in parts of the capital such as Haj Yousif, Umbadda and various shanty dwellings on the peripheries, ready for any call they feel could represent their interest and communicate their grievances. One could conceivably argue that Hamitti and Hilal complement each other; both having a distinct role to play within the existing political situation. However, Hilal clearly has the upper hand, and has frequently made statements to the effect that Hemitti is “ours”. Nonetheless, within the context of greater Darfur, although both of them have potential to affect and alter events on the ground, both at this moment have little influence on other Arab tribes in the region. Good introduction about how the conflict has become an ethnic one, hope also to read about the african figures from Darfur cooperating and working with the government and how they both became a power against the whole country and not only Darfurian, whether there are conflicts between them and hilal or not. Will continue to read the analysis specially that Hilal has changed his stand with the Sudanese government before..
destinies of the local leaders,unlike others who judge political leaders by the power and size of their support base.